According to the CDC, 6.4 million children ages 4-17 have been diagnosed with attention deficit hyperactivity disorder (ADHD). If your child faces this disorder, then you are probably well aware of the various challenges it can present, but are you using every strategy available to break through? In recent years, studies have shown the amazing benefits music therapy can have for several physical and mental ailments. Music therapy has been found to be especially effective in children and adults with ADHD. By using rhythm in music, you can help your young one overcome their ADHD and increase their levels of concentration. Here are some ways to inject more music into your child’s life. For children with ADHD, it can be challenging to focus on what other people are saying. Perhaps you’ve had moments where you’ve given your child instructions only to have them fall on flat ears. It can be hard for your child to focus in on what you’re saying, especially if they are honed in on a certain activity. A way to combat this problem is by breaking up the cadence of your speech. Doing so will make your words stand out, and force your child to listen carefully to find out what you’re saying. Singing is a great way to switch up your speech’s rhythm. If singing isn’t your cup of tea, there are other ways you can switch up the rhythm to grab your child’s attention. Pick up a pot, pan, or any other kind of noise maker, and start tapping out a beat. Hit each time you say a syllable, or use a constant tempo to hold their attention as you address them. Try to make a game out of it so your child will enjoy your conversations and learn about the importance of concentration when listening. Every home could use a bit more music. Why not set up a few speakers and play some music throughout your home? Different kinds of music can affect the mind in a variety of ways. Slow music can calm and relax, while fast music can build energy. For children with ADHD, hearing the right kind of music can put their minds “in the zone” and lead to longer periods of productivity. 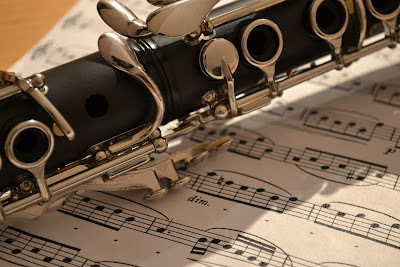 Classical songs, with their complex melodies and intricate rhythms, are often used by teachers to encourage concentration. Creating a playlist through a variety of songs can help shape your child’s focus. Another great way to help your child learn to manage their ADHD is by encouraging their own musical mind. Nurture your child’s musicality by giving them music lessons. There are a variety of instruments available for your child to learn, but you shouldn’t just head straight for the piano or guitar. Brass and woodwind instruments add an extra dimension for helping your child’s ADHD. Not only will they master using their fingers to play the correct notes, they will also learn to focus on managing their breathing. Instruments such as the trumpet teach breathing control, and more importantly, teach the mind and body to coordinate together. There are great online trumpet buying guides as well as shopping guides for any other kind of woodwind or brass instrument your child is interested in learning. Parenting a child with ADHD can be a struggle. You love your child and want to give them every advantage possible growing up. Perhaps the best key to unlocking your child’s ADHD lies in music.